Cornual pregnancy is an ectopic pregnancy or we can say a type of ectopic pregnancy in which fetal development occurs outside the uterus. 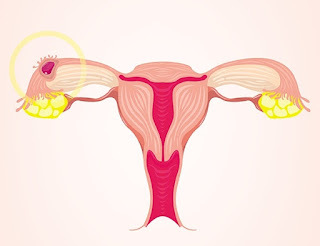 Commonly gestational sac forms in the bicornuate or in septate uterus and in fallopian tubes (interstitial part). It is a rare and life threatening condition if left undiagnosed. Ultrasound and pregnancy tests cannot diagnose cornual pregnancy. It may lead to inter abdominal hemorrhage and bleeding. It occurs less than 1 percent of all ectopic pregnancies. Some risk factors which may further complicate the condition involves endometriosis, inflammatory disease in pelvic region, too many embryo are transferred, embryo are transferred near uterine horn and pressure during embryo injection. Due to inter abdominal hemorrhage, patient may feel pain in abdomen along with bleeding. Due to hemorrhage, gestational sac got rupture and show some other symptoms like hypotension, tachycardia and shock. Patient may become faint due to hypotension. Common symptoms which may appear at early stage of pregnancy involve tenderness in breast, patient feel cramps and fatigue, amenorrhea and dyspareunia. Pain in shoulder occurs due to peritoneal irritation. During ultrasound of pelvic region, gestational sac in cornual my be observed with amenorrhea. Patient may have abnormal vaginal bleeding along with pain in lower back region. Cornual pregnancy dose not show some specific symptoms which can differentiate it from other types of ectopic pregnancy. So some tests are performed to clear the type and cause of ectopic pregnancy. Pelvic examination is common in diagnosing cornual pregnancy. Ultrasound is performed to check the exact location of pregnancy. Basically ultrasound differentiate the cornual pregnancy from other types of ectopic pregnancy. Another test is performed i.e. blood test. In this test a specific Hormone named human chorionic gonadotropin hCG is checked. As it's presence will confirm the type of pregnancy. Cornual pregnancy survival rate is not really good. It is a life threatening condition which may cause fetal death. During development of fetus, there are high chances of uterine rupture. Due to rupturing, bleeding occurs which can harm mother's life. In some cases, patient go through regular monitoring and give birth to their young one. But it is very rare. In most cases, pregnancy ends due to uterine rupture. There is only 1 percent chance of normal delivery in every 500 case. The mortality rate of cornual pregnancy lies between 2 to 2.5 percent. Unlike other types of ectopic pregnancy, cornual pregnancy can be managed. To manage the pregnancy, the beta human chorionic gonadotropin hCG hormone level is maintained in serum. As this hormone is responsible for maintaining pregnancy. Another management technique involves serial transvaginal color power Doppler angiography. Patient have to focus on routine checkup and imaging to check the progress and risk factors. There are some risk factors, which may complicate the pregnancy and management becomes necessary. These risk factors involve inflammation in pelvic region, transferring of embryo near uterine horn, endometriosis, large amount of embryo transfer and last but not least increased pressure during embryo injection.